Some models have page turn buttons, a memory card, and if you like to read near water, you can even buy a waterproof ebook reader. 12 Free ebook reading app choices for you. In the past, the small screen sizes of an Apple or Android device made an ebook reader app an uncomfortable reading experience. But now with the availability and popularity of larger screen sizes and much higher resolution, an ereader app can make reading ebooks on a phone a practical alternative. Reading apps also offer much more flexibility because you can access both paid and free books from a range of retailers and websites and take advantage of special offers. Ebooks can all be stored on your Android, iOS or any other device so that you can access them all at any time. I bought a Kindle when it was first released, but when I got my first iPhone and iPad with Retina displays, that changed the way I read ebooks. The flexibility and convenience and the reading experience for me are just as good, if not better than on a Kindle. Another factor is that new smartphones have more than sufficient internal storage to keep even a large ebook library. If you don’t want to buy a separate device, there are many reader apps available for desktop and mobile. Without a doubt, the Kindle app is probably the first choice for most for ebook readers. It has almost all the functions of an Amazon Kindle with the advantage that you can synchronise your ebook reading across multiple devices. 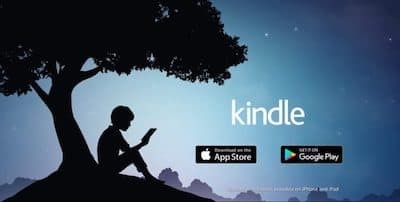 No matter what device or computer you have, you can install the Kindle ebook app, go to the Kindle Store, and start reading. For Apple users, iBooks is a natural choice. As with all things Apple, it is a beautiful app and makes reading a pleasure on any Apple device. Especially devices with a high-resolution retina display. The choice of fonts and font sizes is a favourite feature. 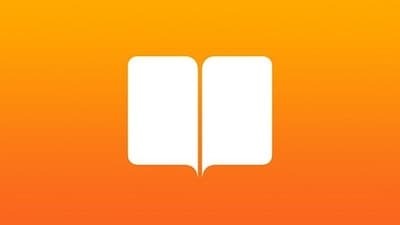 While you can buy and download books from the iBooks store, the big advantage of the app is that you can add any free ebook in epub format to your library. Google Play Books in another choice for a free book reader. 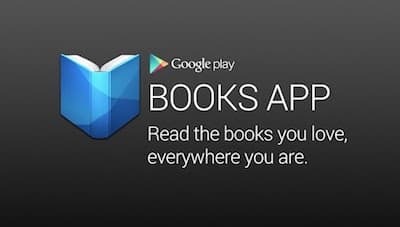 There are thousands of books on the Google Play Store. For some reason, it is not as popular as other apps, but it is worth investigating. But it takes a bit of hunting to find the app you need. You can get Google Play Books for Android. Or for Apple users, there is an iOS version. There is also a Chrome extension available for desktop reading on Mac and PC. Kobo has been around for a long time now and has a lot of happy readers. The ebook apps are excellent, and along with the extensive range of titles on the Kobo bookstore, you can open epub files if you have access to free ebooks. Another plus is that the Kobo app is available for almost any device or computer. Nook by Barnes & Noble has lost a bit of ground against other ebook apps. But it still has a lot of faithful users, and it is a solid reading app. On occasions, it is worth shopping around for ebooks, and you might find a better price on B&N. At least the app gives you a choice, instead of being locked into Amazon and Apple’s walled gardens. The Aldiko Book Reader was originally an Android-only app by Aldiko Limited, but it is now available as an iOS app. It is an epub and pdf reader with some facility to hook up to free libraries. You can also import your own ebook files. 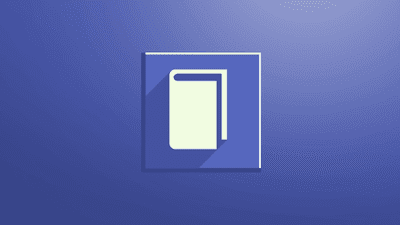 OneDrive is an ebook library lending app for ebooks and audiobooks. If you are a member of a library, this app might be for you. It has over 2 million eBooks, audiobooks, and videos and is linked to 30,000 public libraries in over 40 countries. To get started you need to install the Libby app. Freda is a contraction of a free reading app. It can import any DRM free epub book sources such as Project Gutenberg or Smashwords. 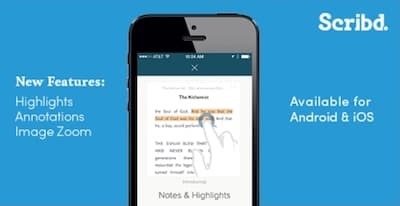 It has bookmarks, annotations and highlighting and there is text-to-speech for anyone who has trouble reading on a screen. Freda is ad-supported, but the ads only show on the bookshelf, so it is not too intrusive. If you are looking to read the latest New York Times bestseller, this is not the app for you. But it is a good all-round free reading app. Calibre is not only an ebook reader. It is a full suite of ebook editing and formatting tools. Sure, you can read almost any ebook with Calibre, but its real forte is in preparing ebooks for publishing. It is a must-have app for self-publishing authors. With Calibre, you can also convert ebook file types, so it is a terrific tool to use to build and back up your ebook library. Sumatra PDF is a little different. It is a pdf reader and is ideal for comic readers. However, it can also read epub and mobi ebook files. If you have used Adobe Reader, you know that it can be a bit slow. But this app is fast, so it is a great alternative to try. Icecream Ebook Reader supports most ebook formats such as epub, mobi, fb2 and pdf files. The free version is easy to use and will suit occasional reading. But if you want more features such as note taking, you will need to upgrade to the pro version. Scribd is a popular subscription reading platform. While the app is free, you will need to pay a monthly subscription after the first 30-day free trial period. It’s not for every reader, but it is an alternative to joining Kindle Unlimited. Why be restricted in your ebook reading? Installing an ebook app on your phone gives you the freedom to read when you want. If you are on a bus or train, in a doctor’s waiting room, on a coffee break at work or bored at a family lunch, you can read an ebook. You don’t even need to be connected to wi-fi. You might have a Kindle and be a member of Amazon Prime, but you always have your phone with you. There are many more reading apps and software available in the Apple App Store or Google Play, so you are not limited for choice. More and more desktop apps are changing the way we read books too. 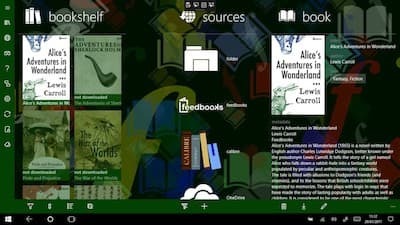 The dedicated ebook reader is not quite dead yet, but it is certainly not nearly as popular as it was a few years ago. At least now, you have a lot of choice in how and when you read ebooks.